Advertising network and customer engagement specialist to join forces. WPP is merging Wunderman and J Walter Thompson to form Wunderman Thompson. Mel Edwards, global chief executive of Wunderman, will head the enlarged agency as global chief executive. Wunderman Thompson will have close to 20,000 staff in 90 markets. "It’s going to make us a richer, more powerful, more interesting agency," Edwards said in an interview with Campaign. Tamara Ingram, global chief executive of J Walter Thompson, will become chairman of Wunderman Thompson. It means the end to one of the most august names in global advertising, J Walter Thompson, which was founded in 1864. Wunderman was founded as a direct marketing agency by Lester Wunderman in 1958. "We wanted it to feel new," Edwards said, explaining why the agency has adopted a new name. "A lot of people internally already shorten it to Thompsons. We didn’t want to call it Wunderman J Walter Thompson. Wunderman Thompson felt more personal and more human." The merged business will be a "creative, data and technology agency", according to WPP, which described it as "distinctively positioned as a provider of end-to-end solutions – through creative, data, commerce, consulting and technology services – through global scale". That language suggests Wunderman Thompson will be competing against consulting groups such as Accenture and Deloitte, recent entrants to marketing services, as well as traditional ad agencies. "Creativity has always been something I’ve been passionate about," Edwards said. "It makes us stand out against the consultants. And doing this makes us stand out further. It’s the one thing we’ve got – the jewel in the crown." Edwards added she had been surprised to discover that the two agencies share a number of clients, including Shell, Unilever and Nestlé, and simplifying their offer was "compelling". She said: "To achieve transformative outcomes, clients today need inspiration that is rooted in data-driven insight. "Wunderman Thompson offers precisely what clients want: better creativity, expertise in data and sophisticated technology skills." Edwards insisted the merger is not a "a cost-cutting exercise", saying: "This is first and foremost about creating a new organisation." Only the appointments of Edwards and Ingram, who are both British, have been decided at this stage and a new logo for the merged agency will be unveiled at a later date. 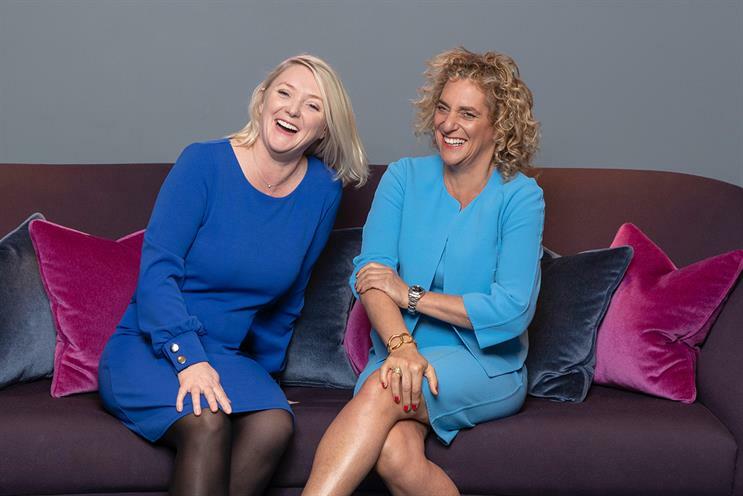 Wunderman Thompson will have one P&L from 1 January and the leadership will decide on senior executives on a market-by-market basis over the next three to six months to achieve what Edwards called the right "balance". Edwards dismissed the suggestion that it was in effect a takeover of JWT by Wunderman. "I don’t see it like that," she said. "Then it would be me running it and we would be calling it [just] Wunderman. JWT has a big client list and is a brand that has been around 150 years. We want to be respectful of that." The merger has been rumoured for months as JWT has been struggling. WPP brought together sister creative agency Y&R with digital shop VML to form VMLY&R in September in a similar move. Mark Read, chief executive of WPP, said: "Wunderman Thompson is a formidable combination, bringing together the capabilities our clients are demanding – award-winning creativity alongside deep expertise in technology, data and commerce – in a single organisation. "Clients want greater simplicity from their partners and this development, like others at WPP, is designed to reshape our company around their needs. "It’s great news for our clients that we can combine the best of JWT and Wunderman in a single agency and it’s great news for WPP as it allows us to compete more effectively in the sectors with the most significant opportunities for future growth." Ingram said: "Both JWT and Wunderman have been built by the commitment of many talented people whose combined capabilities will further distinguish us in the market. "Coming together was a decision driven by the opportunity to better serve our clients, expand our offering and create an agency effectively positioned for the future." Edwards said Wunderman subsidiaries Possible and Mirum will remain as stand-alone agency brands. She added that she sees lots of opportunities for JWT clients to work with Wunderman and vice versa, citing JWT's relationship with Nestlé's KitKat as an example and suggesting it might be possible to use Wunderman's data-driven insight to inform the creative.